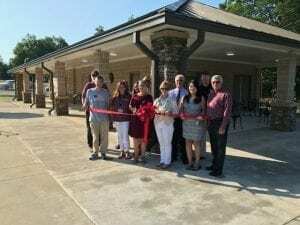 DAWSONVILLE, Ga. – A number of county officials were on hand when Dawson County Parks and Recreation Director Lisa Henson cut the ribbon on the beautiful new pool house at Veterans Memorial Park Friday (June 15) morning. 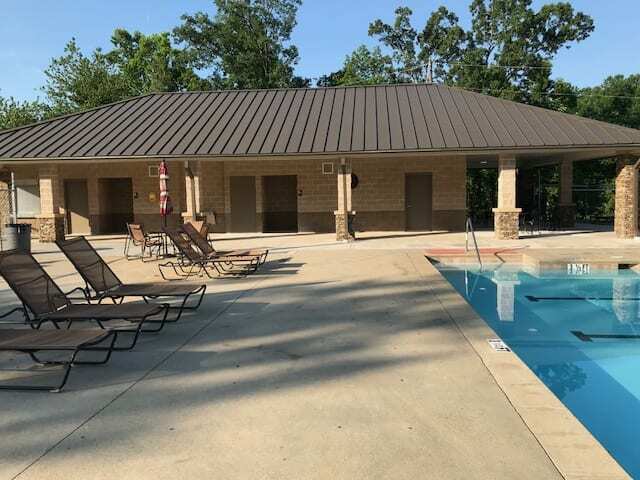 The $450,000 facility was paid for entirely with voter-approved funds from the special purpose local option sales tax (SPLOST). The new facility replaces an old structure that was built in the early 1970s. 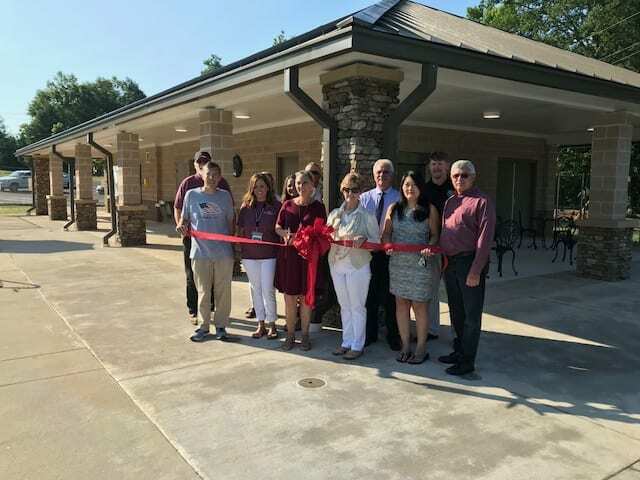 County officials cut the ribbon on the county’s new pool house.